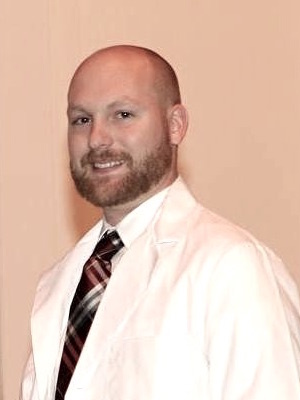 When Dr. Matt was in college, he discovered chiropractic care and was immediately intrigued. “I knew I wanted to go into the health field and had a desire to help others.” With an upbringing that wasn’t oriented around sick care and medication, chiropractic’s approach to nervous system health made sense. He attended Palmer College of Chiropractic in Davenport, Iowa. During his years of chiropractic education, he was a member of Delta Sigma Chi, a professional organization of like-minded chiropractors who focused on the nervous system instead of pain-based issues. With a strong foundation for practicing, Dr. Matt founded Pinnacle Chiropractic in Lakewood Ranch. There, he sees the lives of his patients change every day, witnessing children and adults alike thrive with natural health care. A passion for pediatric care has led Dr. Matt to seek advanced training as a member of Epic Pediatrics. In his spare time, Dr. Matt loves spending time with his wife Rebekah and daughter Gwyneth. They like going to nearby parks, getting outside and enjoying nature in the beautiful Sarasota area. He likes to fish, hike, camp and root on Chicago sports teams (except for the White Sox!). If you’d like to find out more about what we can do for you, contact us today. Dr. Matt offers complimentary consultations in the office or by phone.